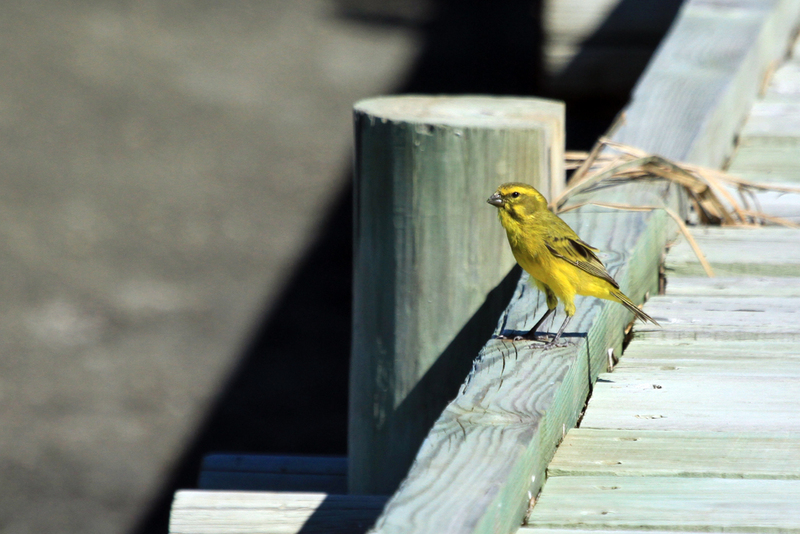 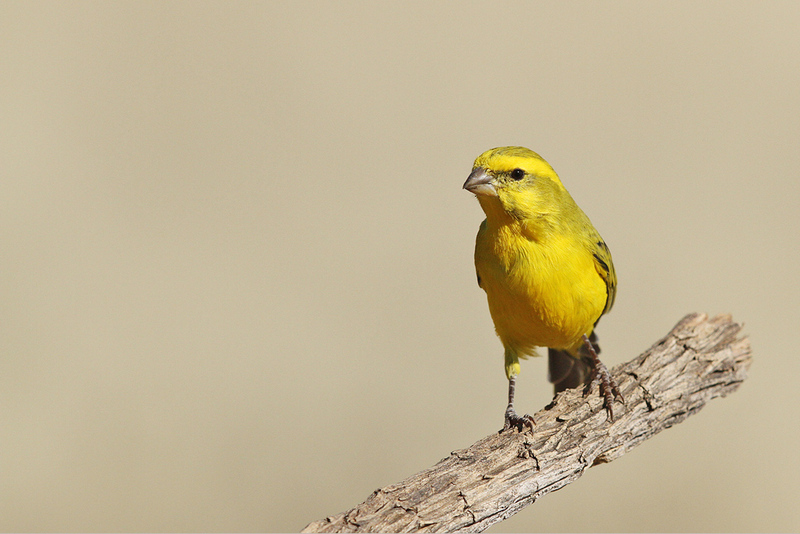 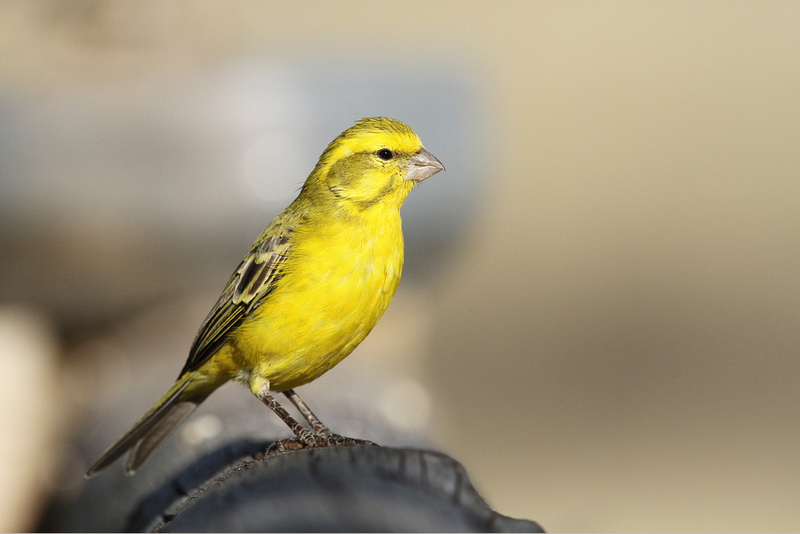 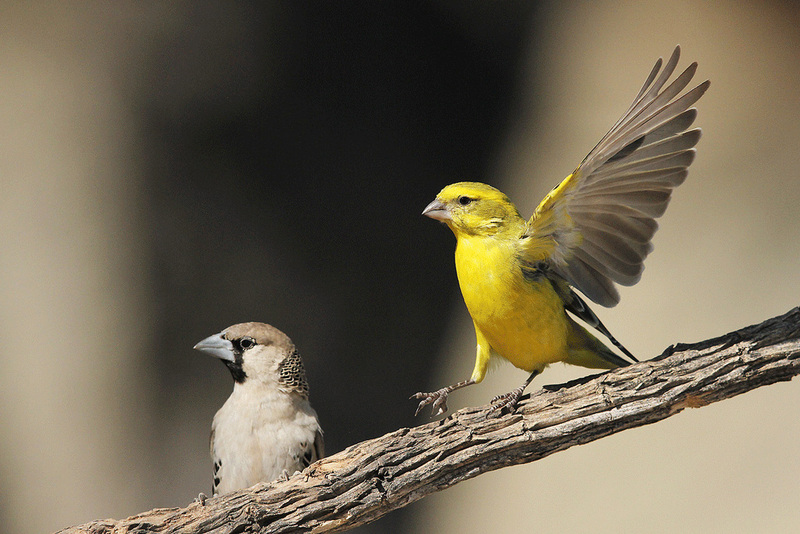 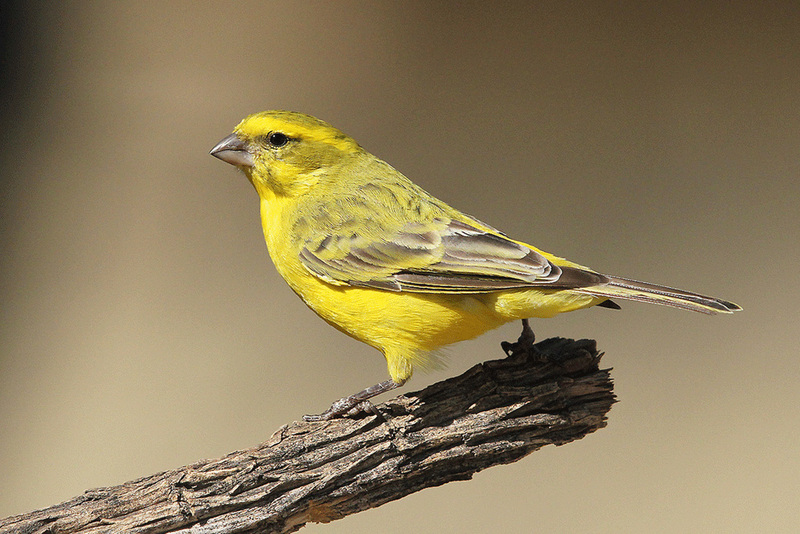 This is definitely southern Africa’s brightest yellow canary. 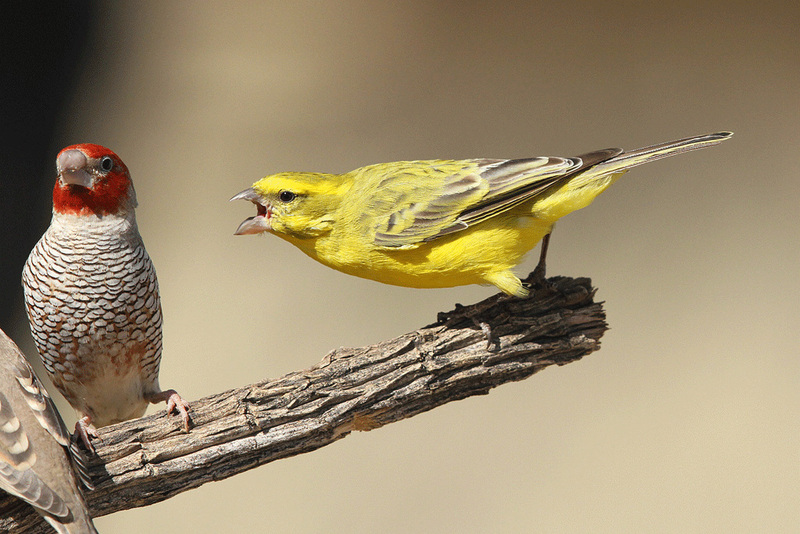 Well, at least in the case of the male of this species, as they are strongly dimorphic. 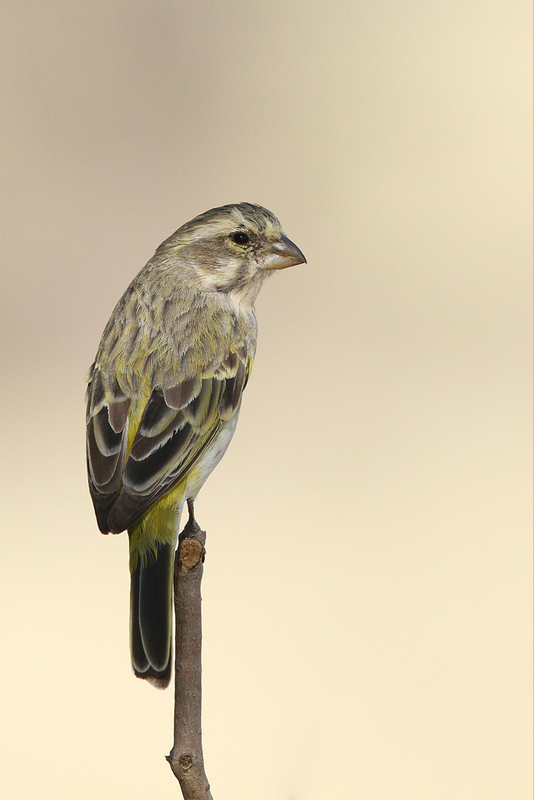 You can find them throughout much of southern Africa where they are common residents and local nomads in Karoo, coastal scrub and and semi-desert. 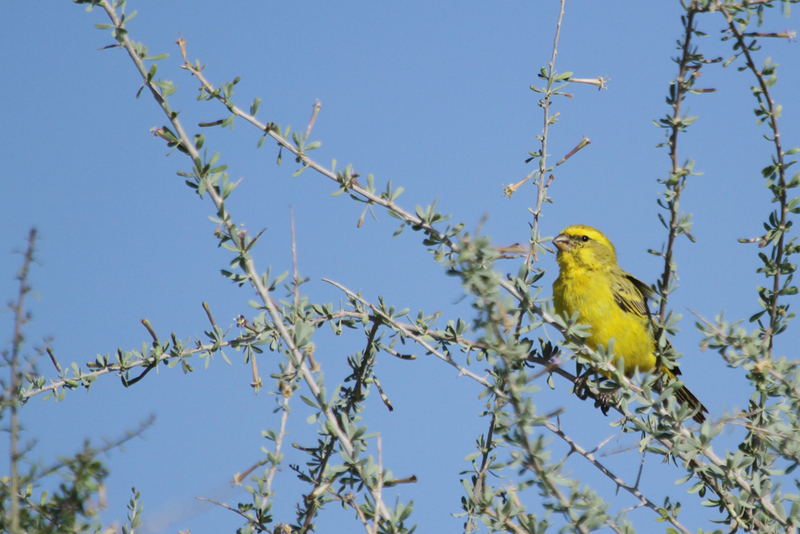 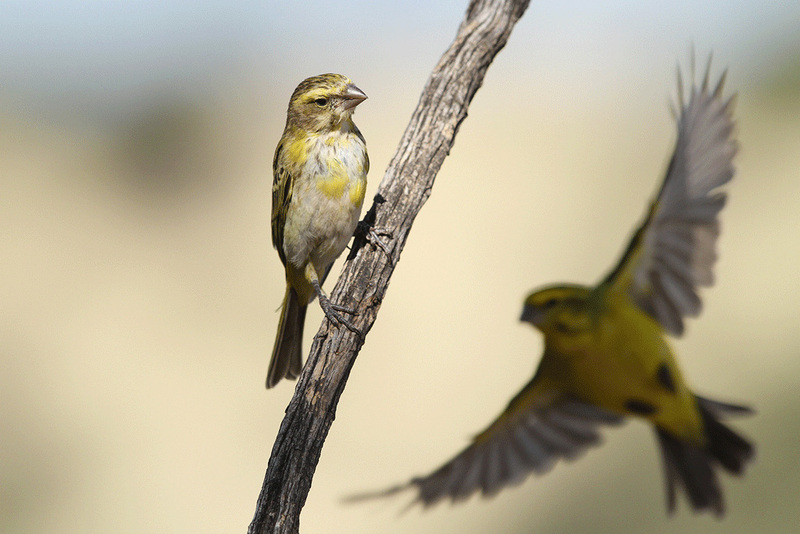 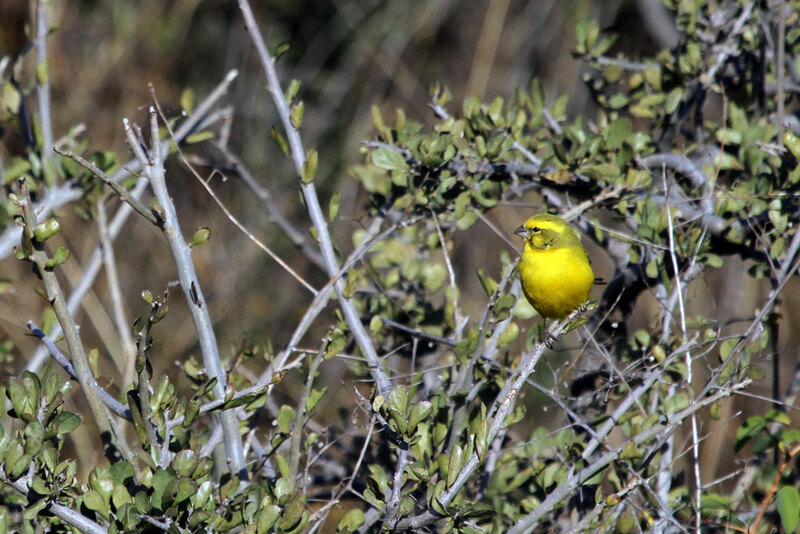 I first recorded this near-endemic canary in July 2010 while driving the 60 km tourist route in Suikerbosrand Nature Reserve, south east Gauteng. 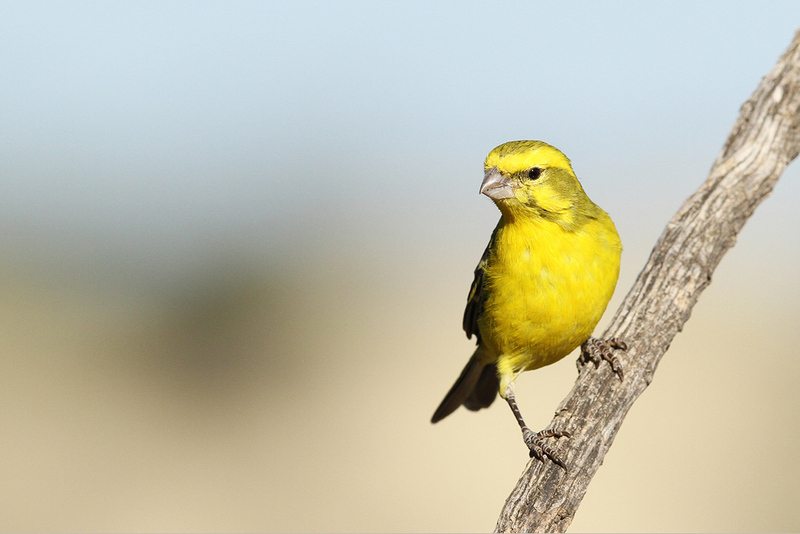 This is a reliable reserve for this species, but if you want to get saturated views, look know further than the Kgalagadi Transfrontier Park (and specifically Groot Kolk Wilderness Camp).